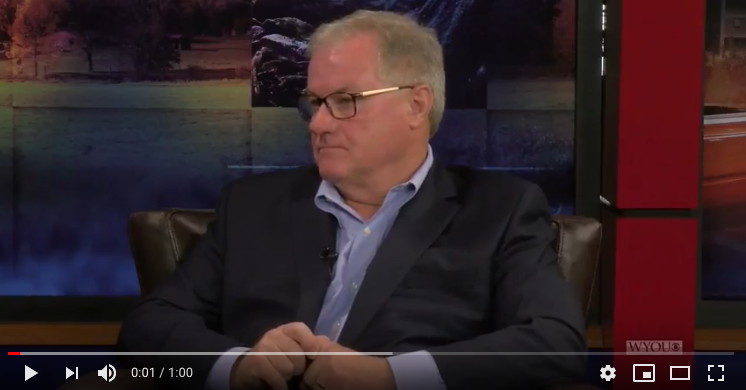 2018 Republican gubernatorial nominee Scott Wagner and his running mate Jeff Bartos took to political talk shows across Pennsylvania this weekend and highlighted the most important policy difference they have with Tom Wolf. They made clear to Pennsylvanians that a vote for them is a vote for lower taxes, while a second term for the Governor will bring more tax hikes. 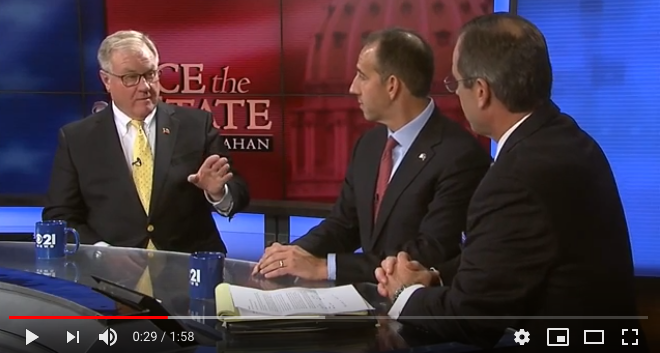 Watch Wagner and Bartos contrast their mission to cut taxes with Governor Wolf’s agenda to raise them in the below CBS21-Harrisburg’s Face the State interview. KEVIN HARLEY: The Cato Institute just came out with a report card on governors throughout the United States. Not surprisingly, the governor of Texas, the governor of South Carolina, Arizona and New Mexico received A’s. Not surprisingly, Governor Wolf received an F, in large part because of the tax increases he’s proposed and his fiscal policies. My question is, what would a second Wolf term look like in terms of taxes and what would a Wagner first term look like? SCOTT WAGNER: Well number one, the Governor shouldn’t have even been given an F, he should have been given an incomplete because he didn’t even do his job. The first year of a Wolf term next year will be a $6 billion increase. It will mean that any hope or optimism of your school taxes going away on your home – that’s going out the door. So I can tell you it’s at least a $6 billion tax increase and it’ about $1,300-$1,500 per household that people are looking for. What you’re going to see in the first year of our term, our administration, Jeff and I? You’re going to see an administration that does zero-based budgeting, we’re going to balance our checkbook, we’re going to start turning rocks over and we’re going to look for money everywhere. And I can tell you that the financial accounting that is done over in the Captiol that has gone on for a long time, I witnessed it for four years, it’s financial fraud. And we need to balance our checkbook and we need to get our house in order. And there will not be tax increases and we will eliminate the school taxes on homes in Pennsylvania in a very short period of time in our administration. JEFF BARTOS: We’ll also cut other taxes. So it’s a pretty clear contrast in this race. The Wolf administration – budgets are priorities – and Governor Wolf’s priorities are to raise taxes. Any chance he gets he will propose raising taxes and he will try to raise taxes. A Wagner administration will cut taxes for working Pennsylvanians and for businesses so that we can get government out of the way and grow and prosper. We’re behind too many of our neighboring states and we should be ahead. 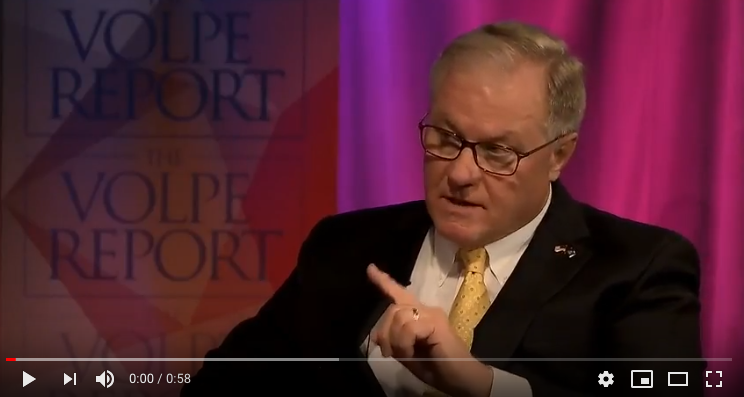 Watch Wagner point out how Tom Wolf’s tax agenda is dangerous for seniors in the below WOLF-Wilkes-Barre’s Volpe Report interview. SCOTT WAGNER: There’s something people don’t know about Governor Wolf, and this is something he’s not telling you. When he ran in 2014 he didn’t talk about a tax increase. He attempted to jam almost a $5 billion tax increase through the legislature in the 2015 budget, which would have amounted to probably somewhere around $1,500 per household. I can tell you that Governor Wolf right now is licking his chops thinking he has this election in the bag, and in his mind he’s going to come back with probably the largest, most historic tax increase in the state of Pennsylvania – ever. And it’s probably going to be around $6 billion. And that’s going to mean about $1,700 per household. So the folks that are retired out there out that were concerned I was going to tax their retirement income, which isn’t going to happen, they need to be concerned about Governor Wolf getting reelected. Watch Wagner describe why a vote for him is a vote for change and for lower taxes in the below WYOU-Wilkes-Barre interview. SCOTT WAGNER: Number one, I would like to ask the people of Pennsylvania, can you name one thing that Governor Wolf has accomplished in the last three years? If you can, please reach out to my campaign. I would love to hear that. Our governor has been a failed governor for the last three and a half years. He attempted to put through a $4.5 billion tax increase in 2015 and I can assure the people of Pennsylvania, the hardworking Pennsylvanians, that if Governor Wolf is reelected he’s going to be back next year with the most massive tax increase in Pennsylvania history of between $4 – $6 billion and it may even go to $6 billion – $8 billion. You will never see school tax elimination under Governor Wolf. If you want a change, and you want a governor who is going to get things done, I’m the guy for the job.